Who Is ‘Loving’ Actress Ruth Negga’s Boyfriend Dominic Cooper? 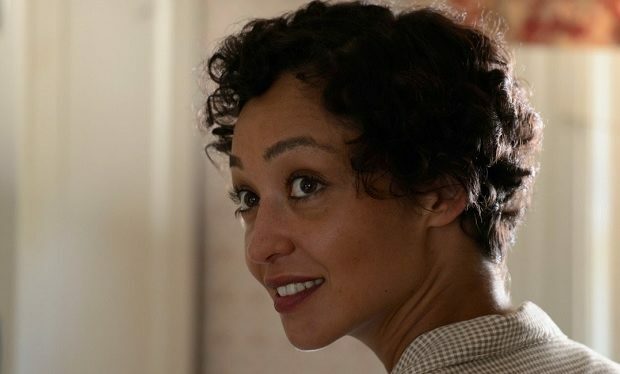 Actress Ruth Negga is nominated for the Golden Globe Award for Best Actress in a Drama Movie for her performances in Loving. The film is based on the true lives of Richard and Mildred Loving, the interracial couple who fought to invalidate state laws prohibiting interracial marriage (U.S. Supreme Court decision Loving v. Virginia, 1967). Note: Negga is biracial: she was born in 1982 in Ethiopia to an Irish mother and Ethiopian father.) Other nominees for the Golden Globe are Jessica Chastain (Miss Sloane), Isabelle Huppert (Elle), Natalie Portman (Jackie), and Amy Adams (Arrival). Negga is in a relationship with actor Dominic Cooper. They both starred in the AMC TV series Preacher. Cooper plays Preacher Jesse Custer, a character from the comic book series by Garth Ennis and Steve Dillon. Cooper is also recognized for his role as Amanda Seyfried’s fiance in Mamma Mia!, Howard Stark on Marvel’s Agent Carter, and in a series of IBM cloud commercials. Who Is Meryl Streep’s Husband of 38 Years, Artist Don Gummer?